Members Of Congress - Alcoholics, Dementia, Alzheimer’s – How Many Are There? “When Rep. Trey Radel pleaded guilty today to cocaine possession and promised to enter rehab, he joined the ranks of one of Capitol Hill's most secretive and exclusive clubs -- addicts. 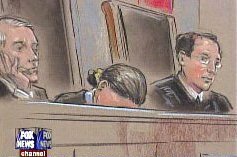 “As she did two years ago, Ginsburg admitted Thursday night that, yes, the photos of her appearing to nod off at President Obama's big speech last month showed her dozing. "As I often do," she said. “But there was a good reason, she added: "I wasn't 100% sober."